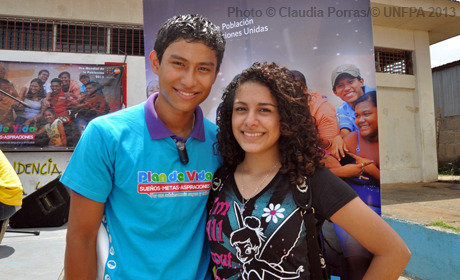 Active in Nicaragua since 1974, UNFPA supports the inclusion of issues related to population dynamics, young people, sexual and reproductive health, and gender-based violence into public policies. Nicaragua has successfully incorporated reproductive rights in its health and education laws and policies, and made headway in reducing maternal mortality. But key challenges remain, including a high adolescent pregnancy rate. UNFPA strengthens capacities to provide high quality maternal health and newborn care, comprehensive sexuality education for young people, and investments in the country’s “demographic dividend”. It also backs measures to prevent and respond to gender-based violence. Wendy Medina Sanchez was a pretty girl once. No longer.